We like to tackle job-related topics as to educate and better prepare job-seekers for the professional world. However, a lot of candidates don't take meeting with their recruiters as seriously as they should. Our job is to hire candidates through our agency and place them at a company who has hired us to fill positions. An added bonus of our job is that we get to help people find their perfect career or career field. But at the end of the day, when we send a candidate to a client for an interview, that candidate represents us. That's why it is just as important to make the best first impression with your recruiter. 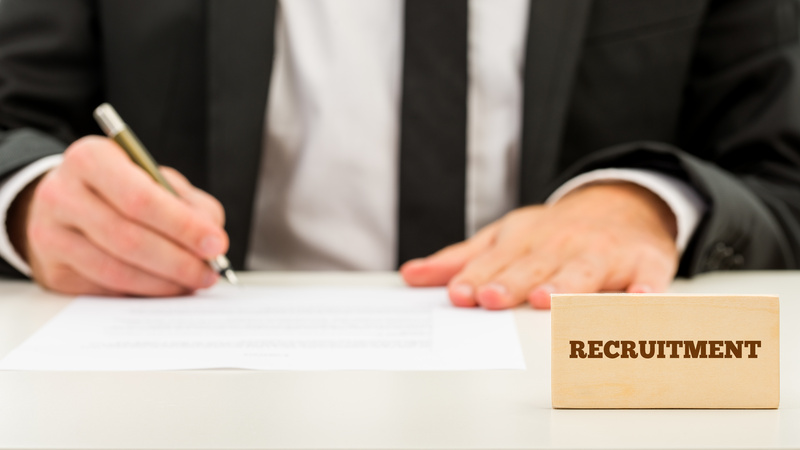 We wanted to give you some pointers on how to conduct yourself when meeting your recruiter for the first time so you can show what a great asset you are. Dress to meet your recruiter the same way you would to a job interview. Your recruiter interview IS a real interview; we meet with candidates before we send them to meet with our clients. If you're not presentable to us, then we won't believe you will be presentable to them. Fill out paperwork beforehand, bring a folder to organize your papers if needed, and bring in one to two copies of your resume. In addition, know what is on your resume, because you will be asked about it. If you're asked a question, always answer directly, and never say "It's on my resume". Make sure you are courteous and polite; positive experiences start with having the right attitude. We have a blog you can read here about what not to say in an interview to help. TURN YOUR PHONE OFF. Do not keep it on your lap or on the table during your interview! It is considered impolite to have your phone out during an interview, as it implies that your recruiter does not have your full attention. Unless it is a true emergency, make sure you put your phone away. If by any chance someone does come with you, have them wait for you outside. If you wouldn't bring your family or friends with you to a normal job interview, don't bring them when you go for your recruiter interview.